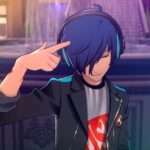 Anime Expo 2018 took place in Los Angeles at the beginning of the month, and it featured a Persona 5 the Animation panel with director Masashi Ishihama and producer Kazuki Adachi. 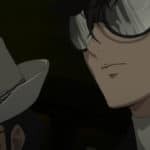 Anime News Network has published an interview they conducted with the creators of the Persona 5 anime adaptation at the show, and the contents of the panel have been reported on as well. ANN: What were the challenges of adapting a game with as strict a chronology as Persona 5 ? How do you adapt this story? Adachi: Since this is a really popular game worldwide, the main thing is that we need to satisfy everyone. Therefore, we need to work as a team, and so we end up playing the game together, as a team. Yes, the whole hundred hours. From this, we have to create a protagonist, since unlike the game, an anime needs a main character to do things for us. So we choose a name, his characteristics, his personality – and even then, the storyline still has to fall into place. That part is the challenge, but again, we overcome it – it just requires that everyone work together. Mr. Adachi, you also produced the Persona 3 and Persona 4 anime adaptations, yes? Has adapting Persona 5 been any different from making those? Adachi: In the sense of creating an anime, 3, 4, and 5 have had basically the same flow. The main difference would be in the staff. For example, Mr. Ishihama is directing this time. We do have a few animators that overlap, but the majority are new staff. So every single time, when we sit down to make a new anime, our focus is to go above and beyond the previous Persona adaptation. We believe that this one is the best. For Mr. Ishihama, how much do you follow the game’s animated sequences when directing the same sequence? Ishihama: Since the game has its own animated scenes, it’d be easy to just transfer these over to the anime adaptation. However, many people have already seen these scenes, so we instead want to make something that goes beyond expectations. Therefore, scenes that have already been animated are more challenging for me. For example, what would you say are the most significant changes between the opening casino scene in the anime and the one in the game? Ishihama: Actually, that would be the biggest spoiler. However, the easiest way to explain it would be that, if you look closely at the scene in the game compared to the anime, something is missing. But that’s not equivalent to saying that we just added something… This may be tangential to the answer, but in the game, the animated sequences aren’t stitched together, as there’s gameplay or cut scenes in between them. What we do here is pick up all of the missing pieces and stitch everything together. AUDIENCE: You’ve been producing all of the Persona anime series. 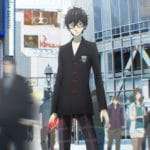 What differences did you find producing PERSONA 5 the Animation ? 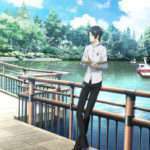 Adachi: The Persona 3 and 4 anime were both made years after the games were released. For Persona 5 , however, we began the animation while people were still making the game. So it was a different process, and we got to work alongside the game’s developers. This is also why the animation was able to come out only after 2 years. How did you decide on the protagonist’s name? Adachi: It was very, very difficult. Of course a lot of time went into this one, we chose the kanji to match the character, give it a melancholy look, make the first name one kanji. 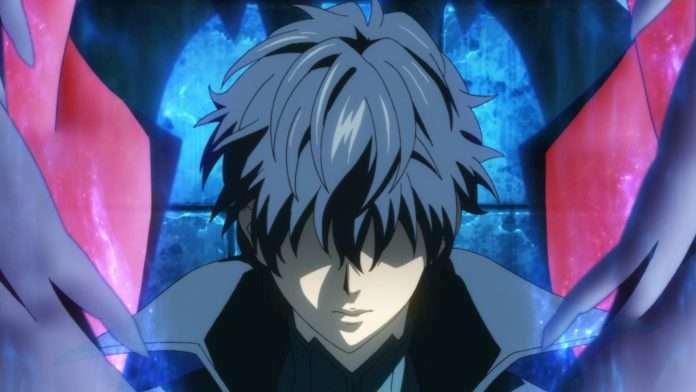 How did you decide on the personality Ren Amamiya would have in the anime? Adachi: We wanted to make someone who, by day, looks like an outcast at school, but at night, becomes hot. 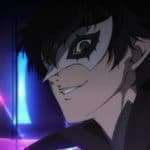 Why did you decide to give Akechi Goro more attention in the anime compared to the game? Adachi: Simply put, he’s cool, and he has a rather dark side, which means that I want to use him. Ishihama: Without Akechi, I think it would be a very boring animation indeed. He’s actually a very important, crucial person, right? Beyond this point is top secret. The full interview and report of the Anime Expo 2018 panel can be read on Anime News Network.